It does not get anymore original than this. I love this commercial. 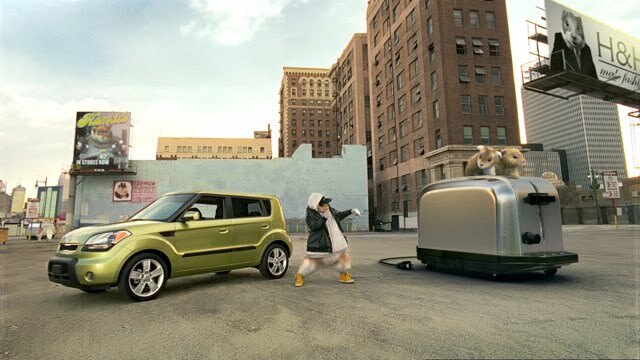 Kia has taken a simple idea and built on it from the other corny hamster commercials they previously aired. There is not really much to say about the video except to watch it. I like it so much because this was my time. The sweat suits, Timberlands, jewelry, and of course the music. Check out how the hamsters dance, flow, the movement, and even how one them is sitting low in the passenger seat on the DL. CLASSIC! 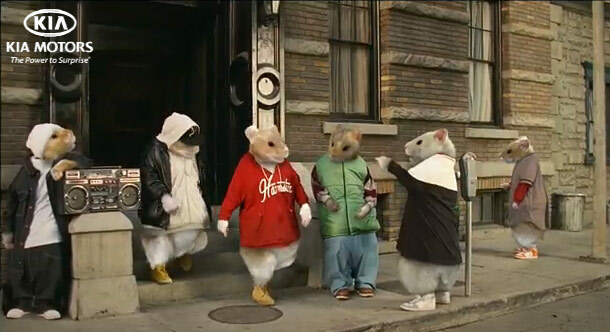 Trust me these hamsters have mad swagga. View the FULL EXTENDED commercial below.